Gordon is the winner of Vol 2-14. He lives in New York, but was born and raised in the North Carolina. As a result, his tastes are equal parts urban noir and Southern Gothic, bagels and barbecue. He currently resides in Manhattan with his wife and their dog – the two of whom form an unbreakable voting block that squelched the exercise of free debate within the apartment. This has led to chicken every night for dinner. Gordon’s poetry and short fiction have appeared in various places around the internet and small print, as well as a no-budget “zombie” movie that may or may not ever be screened. 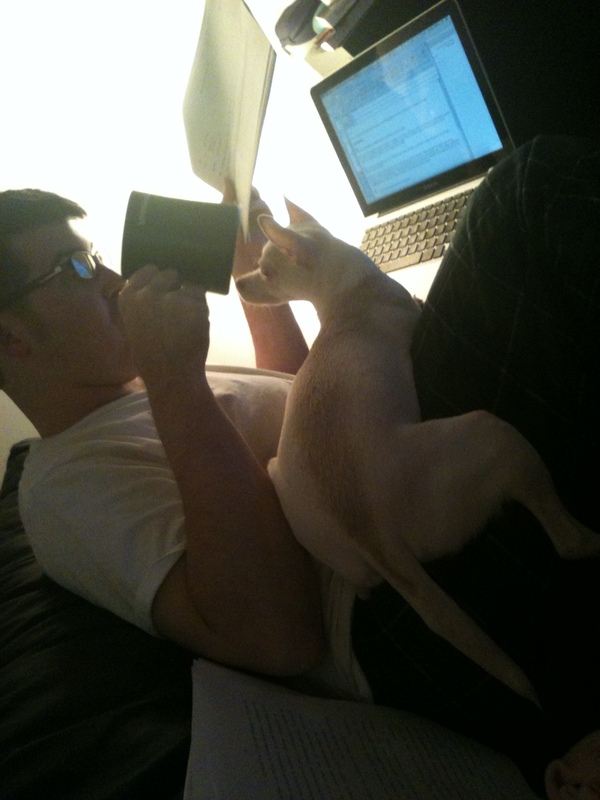 He is also an Assistant Editor at Kraken Press and, among other duties, handles a mighty share of the slush. Follow him on Twitter and at his blog. Hours later, the hurdy gurdy still grinds away and the girls still twist like dogwood branches in the spring breeze, trembling with the cold and exertion. The swollen red and white balloons are the only things holding some of them up. A susurration of whispers stirs through the crowd. One by one, the balloons pop and the pale girls collapse to the ground like kindling. Sister Agatha plunges her needle into the crook of his elbow. The thick redness sluices up the surgical tube. She smiles and looks down at the lone girl still dancing, trembling like a daisy.